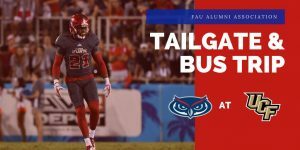 Join us Friday, September 21st, as we take a trip from Boca Raton to Orlando, to watch our FAU Football team take on the UCF Knights! Charter Bus: We will depart FAU campus (lot 5) at 1:00 PM on September 21st. The tailgate will start at 4:30 PM and end at 6:30 PM, with kickoff at 7:00 PM. The bus will depart back to FAU at the conclusion of the game. Already have travel plans for the game? Join us at the tailgate! Food and beverages will be available for all guests. ‘Tailgate Only’ pricing will be $60 for non-Alumni Association members and $50 for members. 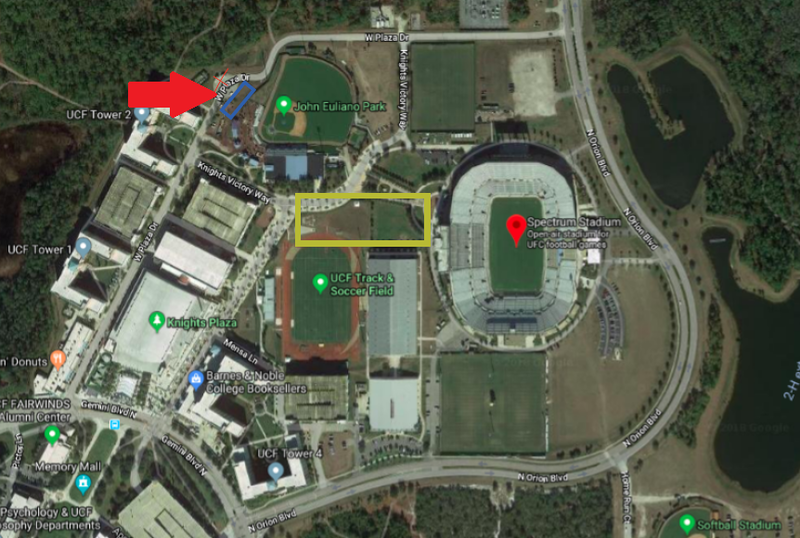 Tailgate details: The tailgate will begin at 4:30 PM at Spectrum Stadium. Our designated tailgate location in the blue box in the map below. Looking to stay overnight? We’ve reserved a block of rooms at a special rate at Courtyard Orlando East/UCF Area. 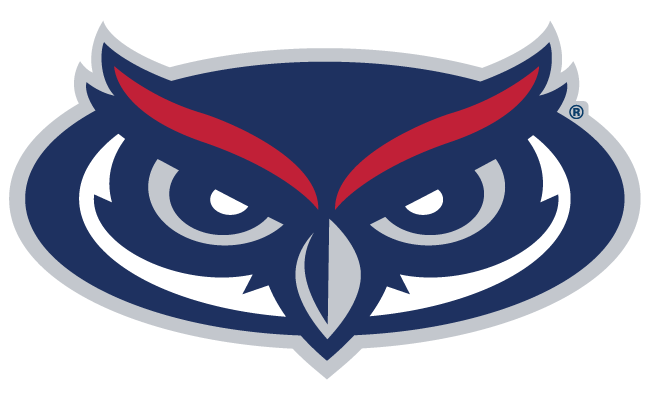 Click here to book our group rate or call the hotel directly at 407-277-7676 and ask for the ‘FAU Foundation Alumni group rate’. Purchasing a room will be separate from the above mentioned tailgate trip. Travel and lodging accommodations must be booked on your own.